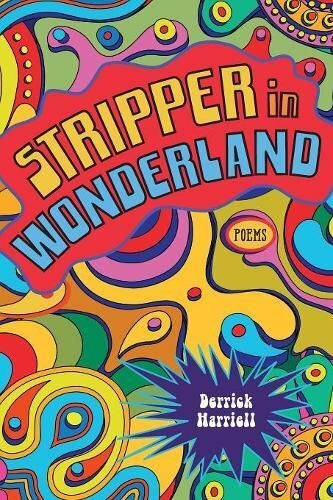 The percussive poems of Stripper in Wonderland move from birth to death, funk to hip-hop, and racism to religion as Derrick Harriell explores the life of a modern black man transplanted from the American Midwest to the Deep South. Harriell summons the ghosts of the past as he deals with the realities of the present. He carefully winds images and words together to produce powerful, often graphic, poems that inform our view of one another as they punch through our assumptions. Originally from Milwaukee, Wisconsin, Derrick Harriell’s poems have appeared in various literary journals, anthologies, and he is the author of two previous poetry collections. Harriell also received the 2014 Poetry Award from the Mississippi Institute of Arts and Letters. 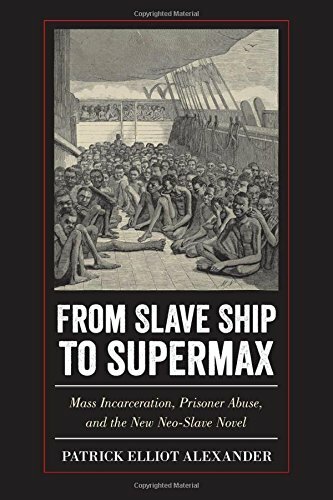 In his cogent and groundbreaking book, From Slave Ship to Supermax, Patrick Elliot Alexander argues that the disciplinary logic and violence of slavery haunt depictions of the contemporary U.S. prison in late twentieth-century Black fiction. Alexander links representations of prison life in James Baldwin’s novel If Beale Street Could Talk to his engagements with imprisoned intellectuals like George Jackson, who exposed historical continuities between slavery and mass incarceration. Likewise, Alexander reveals how Toni Morrison’s Beloved was informed by Angela Y. Davis’s jail writings on slavery-reminiscent practices in contemporary women’s facilities. Alexander also examines recurring associations between slave ships and prisons in Charles Johnson’s Middle Passage, and connects slavery’s logic of racialized premature death to scenes of death row imprisonment in Ernest Gaines’ A Lesson Before Dying. Alexander ultimately makes the case that contemporary Black novelists depict racial terror as a centuries-spanning social control practice that structured carceral life on slave ships and slave plantations-and that mass-produces prisoners and prisoner abuse in post-Civil Rights America. These authors expand free society’s view of torment confronted and combated in the prison industrial complex, where discriminatory laws and the institutionalization of secrecy have reinstated slavery’s system of dehumanization. The American Football League, established in 1960, was innovative both in its commitment to finding talented, overlooked players—particularly those who played for historically black colleges and universities—and in the decision by team owners to share television revenues. 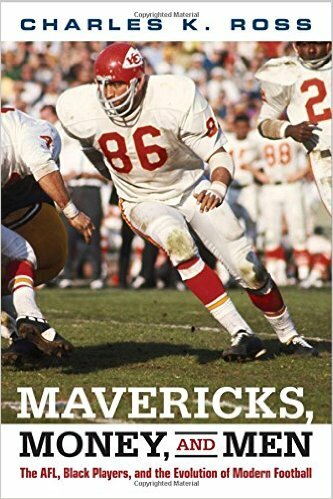 In Mavericks, Money and Men, football historian Charles Ross chronicles the AFL’s key events, including Buck Buchanan becoming the first overall draft pick in 1963, and the 1965 boycott led by black players who refused to play in the AFL-All Star game after experiencing blatant racism. He also recounts how the success of the AFL forced a merger with the NFL in 1969, which arguably facilitated the evolution of modern professional football. Ross shows how the league, originally created as a challenge to the dominance of the NFL, pressured for and ultimately accelerated the racial integration of pro football and also allowed the sport to adapt to how African Americans were themselves changing the game. Dr. Ross is the author of Outside the Lines: African Americans and the Integration of the National Football League (NYU Press, 2001) and the editor of Race and Sport: The Struggle for Equality On and Off the Field (University Press of Mississippi). The literature on Atlantic slavery is rich with accounts of plantation complexes in the Americas, but to date none have been produced for West Africa. 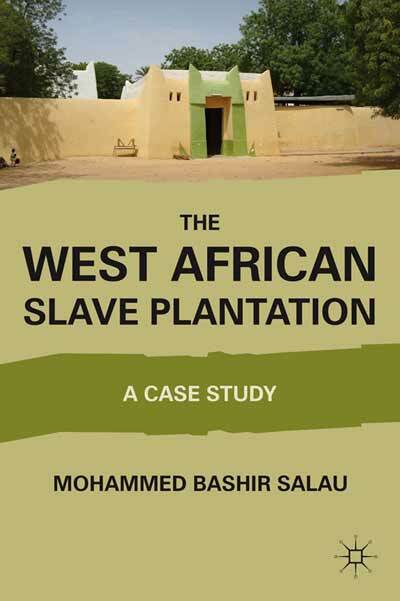 In this valuable study, Mohammed Bashir Salau helps to address this lacunae by looking at the plantation operations at Fanisau in Hausaland, and in the process provides an innovative look at one piece of the historically significant Sokoto Caliphate. 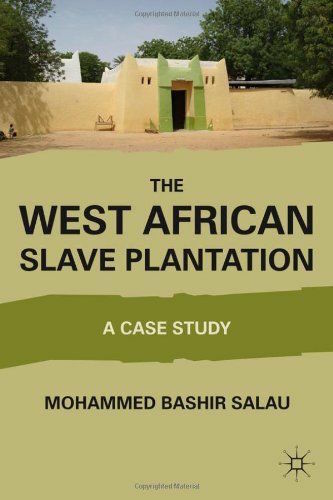 The case study calls into question the assumption that servile institutions in West Africa were “serf villages” and not “slave plantations,” and argues that manumission was less common, at least in the Caliphate, than generally believed. Also, it provides evidence on the key role of the emir of Kano (Abbas) and various merchants in the transition to groundnut cultivation and the significant use of slave labor by large estate holders in the early twentieth century. When carefully studied, historic discoveries sometimes can yield useful insights into modern societal problems. But without access to the artifacts from past eras and cultures, the valuable lessons they teach may be lost. In efforts to preserve archival holdings related to northern Nigeria, a University of Mississippi historian is leading a service project that will both promote further academic research and provide the public with access to rare documents from the region’s pre-colonial era. Bashir Salau, associate professor of history, heads the Northern Nigeria: Pre-colonial documents preservation scheme. Using a grant awarded by the British Library’s Endangered Archives Programme and sponsored by the Arcadia fund, Salau has spent time in the region copying the materials, which will be kept secure in National Archives Kaduna as well as the British Library and other suitable repositories. Since completing his essay, Salau has returned to Kaduna several times and understands that most of the materials are in such bad state because of wear and tear from repeated use and other factors. Targeted antiquities to be photographed include Arabic and Hausa materials from the late 18th century to the British colonial conquest, 1897-1903. Early colonial papers ranging from 1897 to around 1920 are also included. The approximately $15,500 awarded for the three-month project covers the costs of Salau’s travels, laptops and digital cameras for use by his team, compensation for five research assistants/consultants engaged in copying materials and other miscellaneous expenses. UM administrators expressed great enthusiasm over Salau’s work. “The award of a prestigious British Library Endangered Archives Programme grant for Dr. Salau’s international scholarship is another validation of his important work,” said Glenn Hopkins, dean of the College of Liberal Arts. Joseph Ward, associate professor and chair of history, is particularly supportive of his colleague’s endeavors. The materials form an important part of human culture and heritage, and are of value to anyone interested in the unique culture and history of the African past. The materials are also valuable because they detail colonial policy formation and demonstrate the extent to which officials understood Islam, slavery and unfree labor in what had been the Sokoto Caliphate, he said. The British colonists tried to shape colonial northern Nigeria through reform of Caliphate institutions, a technique used successfully during slavery in the pre-Civil War United States. “The materials are of value to historians of Africa in general, because such resources deal with labor, culture, intellectual history and inter-group relations in the African pre-colonial era. Such documentation is relatively scarce,” Salau said. A graduate of York University in Canada, Salau specializes in African and African diaspora history. He teaches “Introduction to African history,” “The history of Africa since 1800,” courses on Islam in Africa and the history of slavery in Africa. His research explores the history of slavery in 19th and early 20th century West Africa, specifically the use of slaves on plantations. 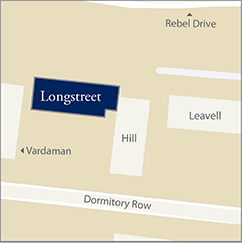 Many facts about the integration of the University of Mississippi have remained unknown to the public for more than 45 years. That’s because key details of the story, including James Meredith’s daily life as a student, have been locked away in file cabinets and unexplored archives. 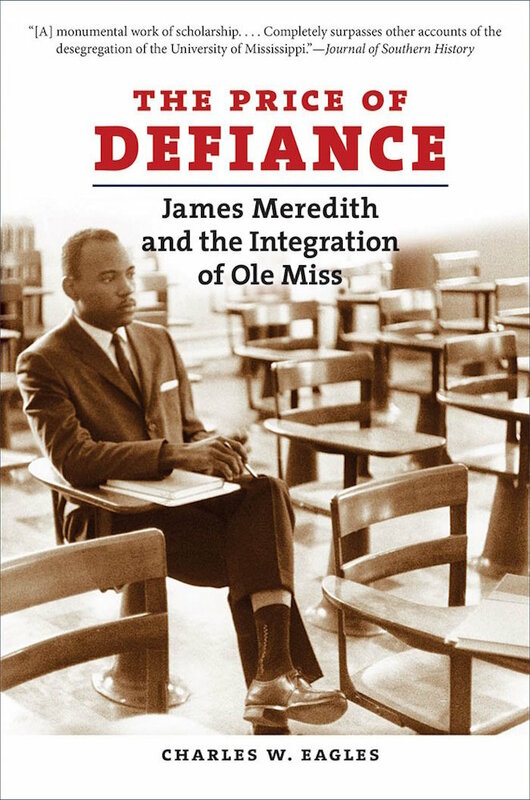 With his new book, “The Price of Defiance: James Meredith and the Integration of Ole Miss” (University of North Carolina Press), UM history professor Charles Eagles provides an unprecedented look at the circumstances and events leading up to that fateful day in October 1962, when Meredith became the university’s first black student. Former Gov. William Winter became a champion of moderation in resolving Mississippi’s racial issues during the 1950s and 1960s, a legacy that lives on at UM’s William Winter Institute for Racial Reconciliation. As an eyewitness to the turbulence during those years, Winter hails “Price of Defiance” as a definitive account of Meredith’s admission. Eagles’ latest work is certainly not the first book about UM’s integration. What sets it apart is that in his meticulous research dating back more than 15 years, Eagles uncovered sources and documents that revealed untold aspects of the story. From the beginning, he benefited from unprecedented access to university files, made available by former UM Provost and English Professor Gerald Walton. The story Eagles discovered became increasingly large and complex. In sorting out the pieces, Eagles uncovered how UM became of symbol of racial segregation for the entire state. He is the author of Mister Satan’s Apprentice: A Blues Memoir and has been a professional blues harmonica player for many years, touring widely in the 1990s as part of the Harlem-based duo Satan and Adam. Winner of the 2004 C. Hugh Holman Award from the Society for the Study of Southern Literature. 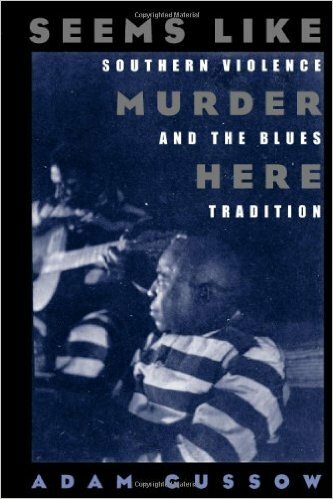 Seems Like Murder Here offers a revealing new account of the blues tradition. Far from mere laments about lost loves and hard times, the blues emerge in this provocative study as vital responses to spectacle lynchings and the violent realities of African American life in the Jim Crow South. With brilliant interpretations of both classic songs and literary works, from the autobiographies of W. C. Handy, David Honeyboy Edwards, and B. B. King to the poetry of Langston Hughes and the novels of Zora Neale Hurston, Seems Like Murder Here will transform our understanding of the blues and its enduring power. 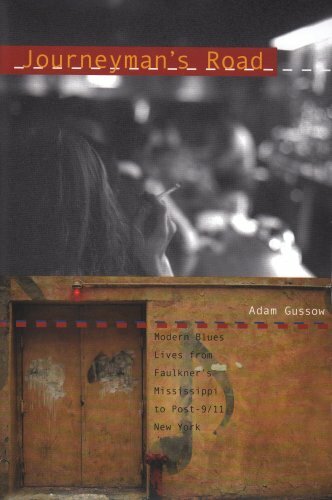 Adam Gussow has lived the Blues life. By some miracle he has also lived to write about it. Whether his subject is a novel by Faulkner or the romance of buying an amp, his prose is as dynamic as a guitar solo by Stevie Ray Vaughan. Adam not only knows the blues…he feels it. Read this book and you will too. This book bridges the seemingly disparate worlds of the blues bar and the college seminar as few, if any, others do—eloquently arguing that blues music and blues communities can be significant galvanizing forces in the human experience. Journeyman’s Road offers a bold new vision of where the blues have been in the course of the twentieth century and what they have become at the dawn of the new millennium: a world music rippling with postmodern contradictions. Author Adam Gussow brings a unique perspective to this exploration. Not just an award-winning scholar and memoirist, he is an accomplished blues harmonica player, a Handy award nominee and veteran of the international club and festival circuit. With this unusual depth of experience, Gussow skillfully places blues literature in dialogue with the music that provokes it, vibrantly articulating a vital American tradition. Journeyman’s Road tells unfamiliar stories about a popular American art form, takes contrarian positions, explodes familiar mythologies, and frames the contemporary blues scene in bold, new ways. Taking its title from Gussow’s self-described status as a “journeyman,”-a musician who has completed his apprenticeship and is well on his way to becoming a master-this new book brings together articles that Gussow wrote for publications such as Blues Access and Harper’s, as well as critical scholarly essays, including the first comprehensive examination of William Faulkner’s relationship with the blues. At the heart of Gussow’s story is his own unlikely yet remarkable streetside partnership with Harlem bluesman Sterling “Mr. Satan” Magee, a musical collaboration marked not just by a series of polarities-black and white, Mississippi and Princeton, hard-won mastery and youthful apprenticeship-but by creative energies that pushed beyond apparent differences to forge new dialogues and new sounds. Undercutting familiar myths about the down-home sources of blues authenticity, Gussow celebrates New York’s mongrel blues scene: the artists, the jam sessions, the venues, the street performers, and the eccentrics. At once elegiac and forward-looking, Journeyman’s Road offers a collective portrait of the New York subculture struggling with the legacy of 9/11 and healing itself with the blues. Filled with photographs and complete with a comprehensive bibliography, Journeyman’s Road is an expedition through the evolution and culture of the blues, a trip filled with the genre’s characteristic collisions and contradictions, paradoxes and multiplicities, innovative calls and often unexpected responses. 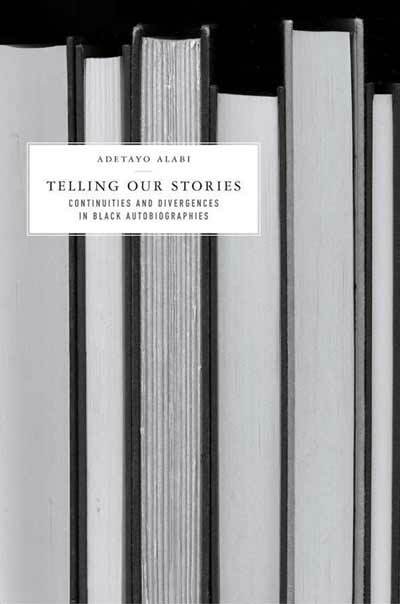 Telling Our Stories: Continuities and Divergences in Black Autobiographies by Adetayo Alabi, Palgrave/Macmillan, 2005. Telling Our Stories (Palgrave/MacMillan, 2005) investigates the continuities and divergences in selected Black autobiographies from Africa, the Caribbean, and the United States. The stories of slaves, creative writers, and political activists are discussed both as texts produced by individuals who are products of specific societies and as interconnected books. The book identifies influences of environmental and cultural differences on the texts while it adopts cross-cultural and postcolonial reading approaches to examine the continuities and divergences in them. 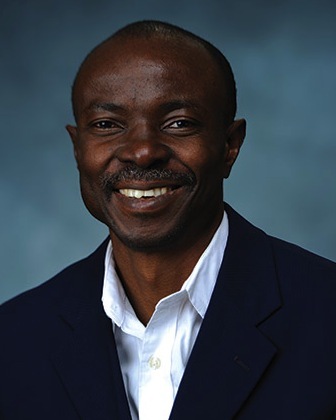 Adetayo Alabi teaches Postcolonial and International Literatures at the University of Mississippi. He published entries in the Encyclopedia of Postcolonial Literatures and in The Companion to African Literatures. He has also published several chapters in books, including Ogoni’s Agonies: Ken Saro-Wiwa and the Crisis in Nigeria, The African Diaspora: African Origins and New World Identities, and Marvels of the African World: African Cultural Patrimony, New World Connections, and Identities; and in journals like Liwuram, African Literature Today, and In-Between. 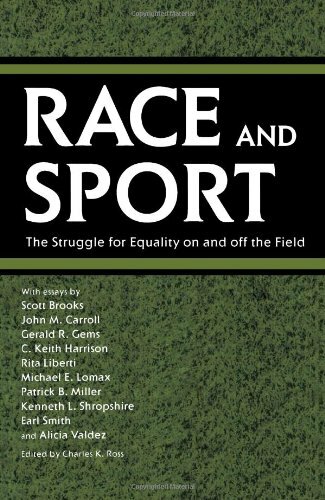 Edited by Charles K. Ross, director of African American Studies and professor of history at the University of Mississippi, this anthology from the University Press of Mississippi (2006) is an examination of the connection between race and sport in America with essays by John M. Carroll, Gerald R. Gems, Rita Liberti, Michael E. Lomax, Patrick B. Miller, Kenneth Shrophsire and Scott Brooks. Even before the desegregation of the military and public education and before blacks had full legal access to voting, racial barriers had begun to fall in American sports. This collection of essays shows that for many African Americans it was the world of athletics that first opened an avenue to equality and democratic involvement. Race and Sport showcases African Americans as key figures making football, baseball, basketball, and boxing internationally popular, though inequalities still exist today. Among the early notables discussed is Fritz Pollard, an African American who played professional football before the National Football League established a controversial color barrier. Another, the boxer Sugar Ray Robinson, exemplifies the black American athlete as an international celebrity. African American women also played an important role in bringing down the barriers, especially in the early development of women’s basketball. In baseball, both African American and Hispanic players faced down obstacles and entered the sports mainstream after World War II. One essay discusses the international spread of American imperialism through sport. Another shows how mass media images of African American athletes continue to shape public perceptions. Although each of these six essays explores a different facet of sports in America, together they comprise an analytical examination of African American society’s tumultuous struggle for full participation both on and off the athletic field. Professor Ross is the author of Outside the Lines: African Americans and the Integration of the National Football League.